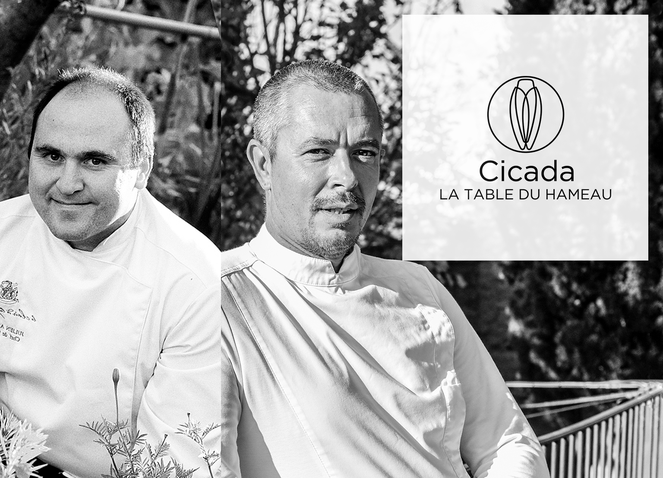 An exceptional culinary event will take place on November 24 at Cicada, the gourmet restaurant of the Hameau : Michelin starred chef Julien Allano of renown table Clair de la plume will cook along chef Stephan Paroche. « I’m really flattered someone like Julien Allano would work with me in the kitchen in November 24th. He usually doesn’t do such a thing, except with starred chefs. For me, it’s an honor. » With these praising words, Stephan Paroche, head of Cicada, La Table du Hameau, talks about the third edition of four hands cuisine, now a culinary ritual at Hameau des Baux. This year, the guest of honor is the starred chef of Le Clair de la Plume in Grignan in Provencal Drôme. « Julien is a high-performance artist, perfectionist and thoughtful, with a joyful personality. He enjoys sharing, conviviality, he’s very friendly and open while being picky and perfectionist, a real gastronomy enthusiast. » Like chef Stephan Paroche, this native of Avignon is a strong advocate of local know-how and bases his cuisine on traditions he boldly updates. Respectul of products, he heartily cooks savory and refined meals. 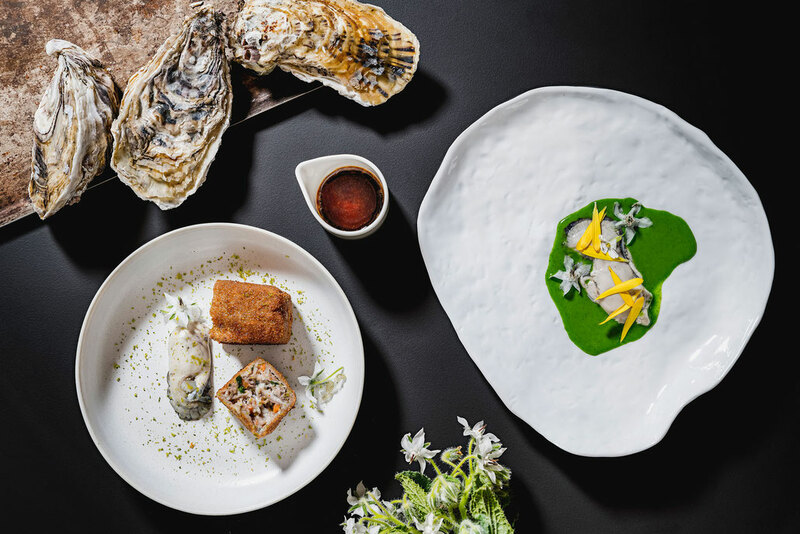 The menu pictured by the two chefs is the reflection of their common taste for sea-land associations and smoked flavours, an indulgence of Stephan Paroche. Here, oysters get in bed with free-range pork and partridges with urchins with seasonal, and sometimes rustic, vegetables like salsifies. For dessert, a lot of surprise too with vegetables and undergrowth scents, coffee flavoured. A sensory journey ending on a high note.